It's 2 am in the night and you still haven't finished your work report. You know your alarm clock will ring again in 5 hours, but you still manage to spend an hour in front of the computer with the help of a strong coffee and some cookies. 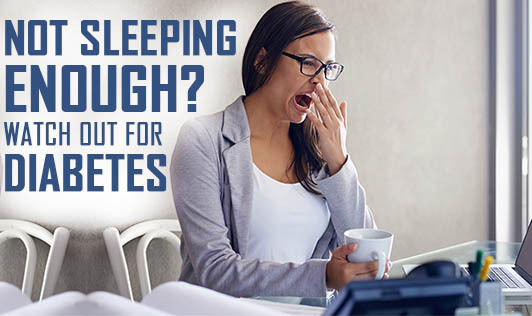 While giving up on your sleep to stay on top of your professional life sounds great, lack of sleep along with bad eating habits has a really bad effect on your blood sugar levels. According to studies, chronic sleep deprivation increases the production of the stress hormone cortisol, which promotes insulin resistance and increases blood sugar levels. Besides this, studies also show that sleep deprivation reduces the level of the hormone Leptin, an appetite suppressant and increases the level of the hormone Ghrelin an appetite stimulant. This combination of hormones prompts sleep deprived people to eat more, when they are awake and in turn, increase blood sugar levels. Re- establishing a healthy sleep pattern is the key to get your blood sugar levels under control. Sleep is very important for good health, so make sure you have a good night's sleep daily.